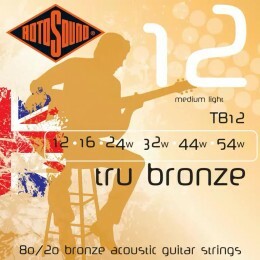 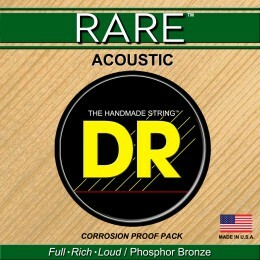 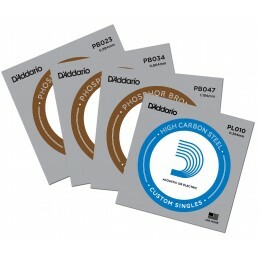 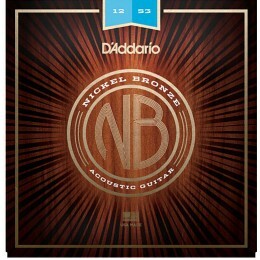 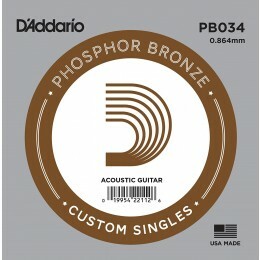 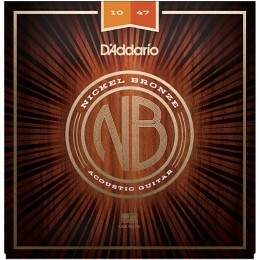 Rotosound Medium Light TB12 Tru Bronze are made in the UK and are a superb value acoustic guitar string made from 80/20 Bronze. 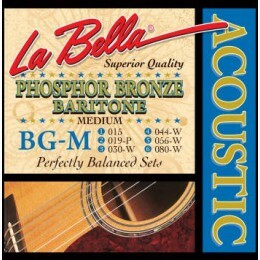 Acoustic guitar strings are usually bronze or phosphor bronze on the wound strings and plain steal on the unwound. 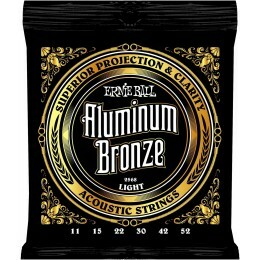 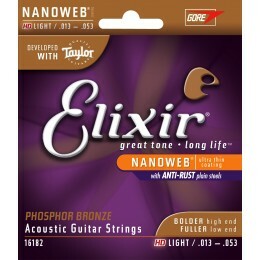 Designed to get volume and a warm, bright sound from your acoustic guitar. 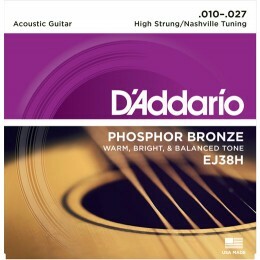 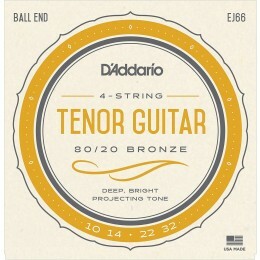 Bronze strings can go past their best quite quickly after a bit of playing so need to be changed frequently. Coated strings stop the bronze from tarnishing and last much longer.